1. Gather the necessary documents. Paperwork is an unfortunate reality when it comes to selling your vehicle. You will need all the necessary documents to transfer ownership, like your insurance and original vehicle registration, and can pick up a free transfer form from any Autoplan broker to transfer a vehicle. Check out the sample here. Going the extra mile and providing interested buyers with your ICBC vehicle claims history or a CarProof Verified BC report builds credibility and trust, often you’ll sell your vehicle faster and closer to your asking price. The ICBC claims history can be ordered by calling 1-800-464-5050. CarProof is an independent used vehicle reporting service and their reports include any out-of-province history as well as Canada-wide lien information. Finally, gather all receipts for any after-market purchases, vehicle maintenance and repairs. There’s a lot you can do to ensure your vehicle is purchase-ready. Once you have your paperwork in order, research the market to learn the value of the make, model, year and condition of your vehicle relative to your community. An easy step is simply going online and comparing your car to other vehicles for sale on auto websites and in newspapers. You can also ask your mechanic what they recommend is a fair price. Consider getting your vehicle inspected at a designated inspection facility. Parkside is an official ICBC inspection location, and you can read all about how it works right here. Proper detailing will knock many km off the appearance of your vehicle. First impressions are critical, and having a clean, shiny vehicle inside and out increases the perceived value and impression buyers get of how well the vehicle has been maintained. There are many free ways to market your vehicle. Online advertising on free sites like Craigslist, UsedVic or Kijiji. 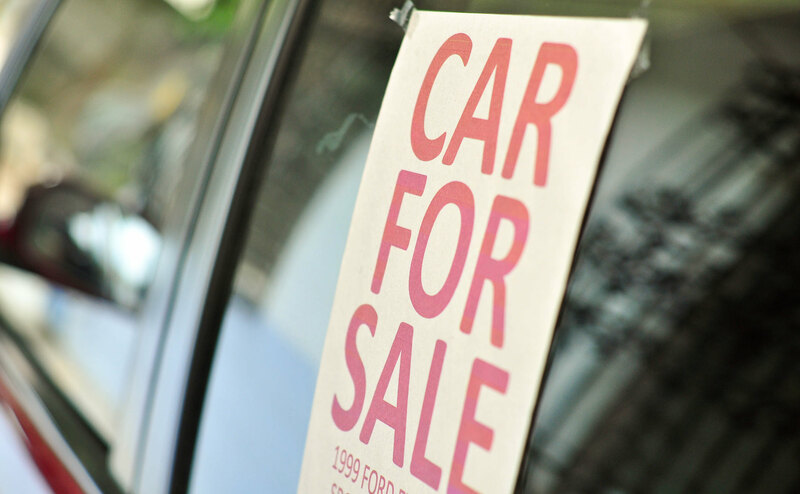 Display a For Sale sign, with contact information in your vehicle. Spread the word among your network using Facebook and other social media or by telling your friends, family and neighbours. Posting notices at your local community centre, library or university. Remember to protect yourself from scams, and have someone with you if you’re inviting potential buyers to your home. Always accept either cash, or a certified cheque. Congratulations! Now you can remove your licence plates and complete the Transfer/Tax Form. To complete the transfer of ownership, go with the buyer to an Autoplan broker. The broker will assist with any paperwork questions, and ensure that your name and any insurance and licence products are removed from the registration record and that the buyer is now the registered legal owner and liable for the vehicle.